One of the CCDA plenary sessions last week featured a couple of professors and practitioners speaking about a theology of reconciliation. The focus throughout the conference was on reconciliation between peoples. There was much about their talk I appreciated but there was also a theme that ran throughout that seemed contrary to their purposes. I thought I may have misinterpreted them until a follow-up conversation with a couple of folks who also took issue with this theme. I’ve thought about it a fair bit since the conference and think I know what was troublesome. The speakers were very direct about the importance of Jesus Christ for the work of reconciliation. They made this point repeatedly and, in my opinion, rightly. Those of us who are Christians engaged in the life of reconciliation ought to be clear about the source of our thought and practice. For the Christian there is no genuine reconciliation outside the person of Jesus. Things get interesting when we consider just what Jesus has accomplished that leads to reconciliation. For the speakers it seemed that this could be summarized with the language of Galatians 3:26-29. So while the presenters were far more nuanced than are many who talk about the divisions that exist within the Church, their theology could to lead to a sort of color blindness that obscures real and important cultural and historic particularities. There are plenty of reasons why this colorblind theology is damaging. Here are two: First, for churches working towards reconciliation within their congregations there will always be a tendency to lean towards the dominant culture. 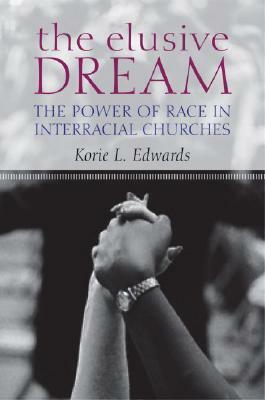 Korie Edwards’ very important book, The Elusive Dream, documents in detail how this plays out in every aspect of an intentionally multi-ethnic congregation. When the particularities of culture are subsumed by some so-called common Christian culture we will inevitably move towards whichever culture is dominant. Hence Edwards’ disheartening conclusions that multi-ethnic churches, despite their diversity, are actually white. Second, when we lose the ability to talk about the real difference that exist within different cultures, ethnicities, and races we also lose the ability to identify the disparities and injustices that plague some and bypass others. I was recently talking with a friend who has taught sociology courses at a local college. She has noticed that most of her students of color are able to talk about injustices they’ve faced. But notably, rather than making connections to their race or ethnicity they individualize these ugly experiences. In other words, while race continues to be a significant marker of societal achievement these students have internalized a colorblind view of the world that hinders their ability to see the racialized systems that hinder their success. As I said, the conference speakers were absolutely right to point us to the centrality of Christ for reconciliation. But rather than obscuring the real differences that exist within our humanity, the person of Christ actually makes these differences real and important. The vision found in Galatians is not one where difference no longer exists but where, in Christ, they lose the ultimate power to divide and destroy. Mark Noll, in his book Jesus Christ and the Life of the Mind, describes a Christology that legitimizes the differences inherent in our world. The implication can be stated succinctly: because God revealed himself most clearly in a particular set of circumstances and at a particular time and place, every other particular set of circumstances takes on a fresh potential importance. Rather than whitewashing race and ethnicity, Jesus Christ calls out these differences as the location for God’s salvation. Thus in Acts the nations hear the Gospel proclaimed in their own languages at Pentecost and the Jerusalem council eventually agrees that Gentiles need not first become Jewish to join the people of God. In Race: A Theological Account J. Kameron Carter points to Christ’s “Jewish flesh” as the particularity that makes impossible assimilation, “the violent processes of extending the accomplishments of whiteness to nonwhite flesh and to immigrant groups.” That is, within a society (and a Church) that requires conformity to the dominant cultural norm, Christians have access to another way of being. To be in Christ…is to be drawn out of tyrannical narratives of identity (and the social orders they uphold), such as modernity’s narrative of racial identity generally and the pseudotheological narrative of whiteness particularly, and into the identity of Israel as preformed in Christ’s Jewish flesh. In his sermon at the CCDA conference Rev. Ray Rivera called himself “a reconciler with contradictions.” By this he seemed be recalling the many times that reconciliation has meant conforming to the dominant culture. “Reconciliation to what?” was a question he asked repeatedly. I’m not sure the theology provided by the conference speakers provided the framework to answer this question well. And while I suspect theirs is the typical perspective it’s important to know that it’s not the only one. Christ is our universal savior whose salvation is worked out within the particularities of culture and history. Our work of reconciliation must reflect our Savior. David, were you at the conference? I did not see you- sorry if I missed the opportunity to day hi. Also, I think there are many reasons things could have been misinterpreted- one of which is the fact that historically the attenders of CCDA were practitioners knee deep in the practice of reconciliation. It’s has been a much different demographic then let’s say the justice conference or the mosaic conference. Over the past year it has grow so much but primarily with new folks to the journey who are studying it, reading about it, and/or just new. This does make for a need to define and explain more then assume we all know what we are talking about. Having been a part of CCDA and knowing many of the speakers well, I am sure that they do not embrace a diminishing of distinctive approach, but I can see where some many have misunderstood. Hey Sandra. I was at the conference Wednesday through Friday afternoon. I had the chance to meet a few of your excellent worship team members as I was leaving for the airport. I appreciate your point about CCDA being primarily a gathering of practitioners. However, in the session I’m responding to the presenters were presenting a theology of reconciliation. (And to be fair, there were some other theologians I heard who I thought provided a very different view of reconciliation than did these presenters.) I don’t think I or the folks I debriefed with afterward (who are far more familiar with CCDA than am I) misunderstood their presentation. Rather, I think they articulated a common view of reconciliation that does diminish difference in order to diminish dividing lines. Again, there were others I heard who articulated a more helpful – in my view – theological rationale for reconciliation. I benefitted from these presenters as well as from the ones I disagreed with. David, Can you let me know who presented a colorblindness theology of reconciliation? I thought I heard most speakers, but i did step out. I do want to go back and listen if I missed something. I know the theology and practice of the leaders and board of CCDA is not one that diminishes difference, so i am very curious. Interesting I have had times in the years I was working with CUP that I myself was confused about what people were saying about the nature of reconciliation and race (colorblindness specifically). I had to ask speakers to clarify for students/peers so I can see if people who are not precise with their words could be misunderstood. David, it’s interesting that you quote Carter. Some believe his views on racial and Christian identities may also lead to a type of colorblindness. I’ve not heard that critique of Carter’s work Brandon. Can you point me to more about this? Well, this critique has primarily come from students. I gave a series of lectures/discussions on the book at the seminary and several of the students and faculty felt like in his attempt to destabilize racial identity, some felt like this was a type of colorblindness. BTW: Carter, Brian Bantum, and Willie Jennings will be on a panel at AAR in the Black Theology group on “The New Black Theology”. Several major figures in black theological discourse will be responding. I’d have loved to hear those lectures! It’s hard for me to imagine how Carter’s theological reading of race would lead to colorblindness. Sometime I’d love to hear more of your thoughts on this.